Overview - A Star Is Born marked Judy Garland's return to movies after a four-year absence, director George Cukor's first musical and first color film, and a showcase for great Harold Arlen/Ira Gershwin songs in state-of-the-art stereo. Garland is singer Esther Blodgett, an undeniable talent on the rise. 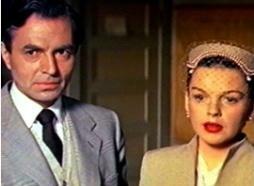 She catches the eye of Norman Maine (James Mason), an alcoholic actor in career decline. Their intense love transforms them both. Only one will survive Hollywood's slings and arrows. Based on the 1937 drama of the same name starring Janet Gaynor and Fredric March (which itself was inspired by the 1932 film 'What Price Hollywood? '), 'A Star Is Born' tells the story of one movie career on the rise and one in decline, and how the excess and narcissism of Tinseltown often lead to isolation, alienation, despair, and destruction. 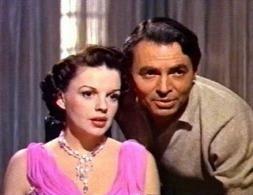 Ironically, Garland, one of Hollywood's most famous casualties, portrays the level-headed rising star, Esther Blodgett, a struggling band singer discovered and groomed by waning matinee idol Norman Maine (James Mason), an alcoholic actor who coasts on charm and whose drunken escapades have made him an unreliable commodity. The two fall in love, but Norman's addiction and mounting insecurities over his slipping career continually test both their relationship and Norman's tenuous hold on a stable existence. At the time of its release, 'A Star Is Born' was one of the few films to depict the dark side of Hollywood, proving all that glitters is not gold, and its uncompromising – and at times unflattering – portrait of an often heartless industry and parasitic culture packed a solid punch. Today, it's widely considered to be the best version of the oft-told tale – don't even mention the laughable 1976 update starring Barbra Streisand at her most egomaniacal – thanks to Cukor's sensitive yet straightforward direction, which perfectly balances the script's rich emotional fabric. Though the Moss Hart screenplay still glosses over some of Hollywood's harsher elements (after all, the industry couldn't be expected to expose all its warts), we get enough of an inside look at studio practices and politics – some of which are delightfully lampooned – to give us a solid sense of what moviemaking was like in the 1950s. And in an odd twist of fate, the film gives us far more information about the industry's cutthroat nature than it originally intended. For seeing 'A Star Is Born' today, in its reconstructed state, we learn firsthand how ruthless studio executives could be, and how they often cared more about a movie's bottom line than producing cinematic art. The cavalier manner in which Norman Maine is treated by Oliver Niles Productions in the film seems sympathetic when compared to how Warner Brothers treated 'A Star Is Born' shortly after its premiere. Originally clocking in at just over three hours, the film received rave reviews upon its release. Theater owners, however, carped that the lengthy running time limited the number of showings per day, thus cutting into box office take. Worried the movie might not recoup its hefty investment, Warner recalled the film and hastily reedited it, lopping off two musical numbers and a critical stretch of plot that helped develop Norman and Esther's burgeoning relationship. Critics roundly condemned the new version, which many feel sabotaged the picture's Oscar chances. The coveted cut footage was assumed to have been lost or destroyed, but in the early 1980s, film historian Ronald Haver scoured Warner's vaults, uncovering the complete 181-minute soundtrack, along with both deleted musical numbers ('Here's What I'm Here For' and 'Lose That Long Face') and a host of other snippets. He began to piece together a reconstructed version, inserting production stills over the portions of the soundtrack for which no corresponding film could be found. It was a novel approach, but effective, enabling the film at last to be seen as intended. The effect is a bit jarring at first, but the quality of the material trumps the awkwardness of the presentation. It's this version of 'A Star Is Born' that appears on Blu-ray, and it's both a moving dramatic and musical experience, as well as a tribute to the cause of film preservation and restoration. The score by Harold Arlen and Ira Gershwin includes the famous torch song 'The Man That Got Away,' which would instantly become a Garland standard, and though Cukor had never before directed a musical, he seems comfortable in the genre. The director's sense of rhythm and mood enhance the story and make the film seem much shorter than its three-hour running time. Fascinating from many standpoints – as an unflinching portrait of a beloved medium; as a tribute to a director's vision; and as the ultimate showcase for one of the most spectacular talents ever to grace the screen – 'A Star Is Born' is riveting entertainment from start to finish. Aspects of its story may be a bit dated, but its performances remain timeless. Most of all, the film stands as a testament to the enduring brilliance of Judy Garland, who, as one critic so bluntly (and correctly) put it, gives "just about the greatest one-woman show in modern movie history." After viewing 'A Star Is Born' for the first time or the hundredth, it's impossible not to agree. 'A Star Is Born' arrives on Blu-ray in an attractive Digibook format. Attached to the inside covers are two discs, a BD-50, which contains the feature film in 1080p, and a standard-def DVD, which houses a comprehensive array of supplements, a few of which are new to this release. Bound between the discs are 44 pages of handsomely designed photos in a variety of color tones spanning the full gamut of this mammoth production, as well as an insightful, informative essay chronicling the film's dramatic history and reconstruction by renowned Garland historian John Fricke. This is the way all great classic releases should be packaged. 'A Star Is Born' is a dark film, both thematically and visually, so it's especially gratifying to see such a gorgeous 1080p rendering that maximizes the movie's color palette without pushing it too far, and pumps up clarity and contrast to, at times, breathtaking degrees. Meticulously restored at high resolution, 'A Star Is Born' underwent a painstaking process to remove chemical staining and correct color. The result is a superior transfer that nicely juggles the various film stocks and still sequences to produce as seamless a viewing experience as possible given the picture's unique circumstances and mixture of elements. Of course the brief carhop sequence looks grainy and a bit battered, but we're lucky it exists at all. On the whole, however, the image is clean, crisp, and sports a pleasing grain structure that lends the story vital warmth and texture. Reds especially pop, and from the opening Shrine Auditorium sequence forward, their lushness remains on constant display. Whether bathing the background (the cavalcade of roses in the 'Born in a Trunk' number) or merely providing a catchy accent (the carnations pinned on Garland and her dancing duo in 'Gotta Have Me Go With You'), the bold hue contrasts well against the deep, inky blacks with which it is often paired. With so much black often framing the picture, one might guess crush would be an issue, but not so. Shadow delineation is quite good, with background details almost always easy to discern no matter the degree of light. Whites are also vibrant, with Lola Lavery's feathery fur stole exceptionally well rendered. Contrast is solid and clarity is surprisingly good, especially when one factors in the primitive nature of CinemaScope at that time. Sure, there are some soft moments, but on the whole, the picture remains vivid and sharp. Close-ups look beautiful – you can see the perspiration glistening on Garland's face during the 'Born in a Trunk' number – and fleshtones remain stable and true throughout, from Garland's alabaster skin to Mason's olive complexion. Fans have waited years for a high-def upgrade of this classic film, and Warner delivers a beautiful product that will satisfy even the most critical eyes. Here's hoping more of the studio's catalog musicals come our way…and soon. When it comes to classics, many of us tend to care more about picture quality than sound, but in the case of 'A Star Is Born,' audio plays a vital role. And hearing 'A Star Is Born' in lossless DTS-HD Master Audio is a thrilling experience. Without question, Judy Garland possessed one of the greatest singing voices in history, and here she is at her absolute peak. This superior track perfectly showcases her peerless instrument. Pure, controlled, and bursting with unbridled power, Garland's vocals are crystal clear, with every warm tone, delicate nuance, and euphoric climax perfectly balanced to achieve maximum impact. The musical numbers possess a marvelous fullness, flooding the room with well-mixed, dynamic sound. By far, this is the best 'A Star Is Born' has ever sounded, and fans of this classic film will be more than satisfied with this vibrant, immersive track. 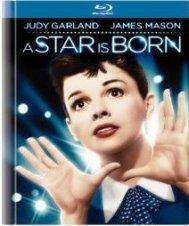 'A Star Is Born' comes packed with a treasure trove of rare supplements, some of which are new to this release. Those fascinated not just by this particular film, but film in general, will find the material captivating, and Warner deserves kudos for including such a comprehensive array of extras. That said, one vital omission from the previous DVD release remains MIA here: an audio commentary. Few movies in the history of Hollywood cry out for a commentary track more than this version of 'A Star Is Born,' yet again Warner has deemed such a feature extraneous. The story behind the film's controversial editing and reconstruction could easily fill the three-hour running time, not to mention its intricate production history, biographies of its cast and crew, analysis of its plot, and comparison to other versions. An in-depth making-of documentary would have helped fill the gap, but we don't get that here either. 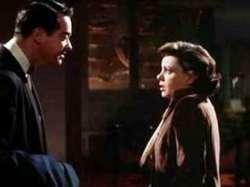 Make no mistake, the extras package remains superior, putting many classic movie releases to shame, but it's hard not to rue what might have – and so easily could have – been, and to scold Warner for again missing a golden opportunity to provide audiences with a vital tool for truly understanding the unique circumstances that have made this film the stuff of cinema legend. Introduction (SD, 3 minutes) – Using some rare footage and outtakes, this superficial overview of 'A Star Is Born' provides viewers with a cursory look at the film's production history, star, locations, and appeal. 'The Man That Got Away' Deleted Scenes (SD, 22 minutes) – A number of alternate takes employing two different costumes and setups show just how seriously Cukor took this particular number. Split-screen effects show subtle variations between various takes, and make one admire Garland's stamina, commitment, and artistry all the more. Alternate Takes (SD, 11 minutes) – Alternate versions of three musical numbers ('Here's What I'm Here For,' 'Lose That Long Face,' and 'Trinidad Coconut Oil Shampoo'), and one dramatic scene. 'When My Sugar Walks Down the Street' Outtake (SD, 1 minute) – A cut snippet from the 'Born in a Trunk' sequence resurfaces here. Film Effects Reel (SD, 1 minute) – Isolated atmosphere shots of a Hollywood premiere, some of which did not end up in the finished film. Vintage Short: 'A Report by Jack L. Warner' (SD, 6 minutes) – This promotional short highlighted upcoming Warner releases, and the portion presented here covers 'A Star Is Born' and includes some alternate takes. 'A Star Is Born' Premiere in CinemaScope (SD, 2 minutes) – This ultra-rare color, widescreen footage of the film's premiere makes its home video debut here. Pantages Premiere TV Special (SD, 30 minutes) – Lucille Ball, Joan Crawford, Lauren Bacall, Clark Gable, and, of course, Judy Garland herself are among the glitterati who attend the premiere of 'A Star Is Born,' and this network television special chronicles every star arrival and red carpet interview. Vintage Cartoon: 'A Star Is Bored' (SD, 7 minutes) – Bugs Bunny and Daffy Duck go at it in this movie-themed Looney Tunes installment that borrows its title from 'A Star Is Born,' but spoofs none of its content. Audio Vault – Dramatic audio outtakes, a Garland promotional interview with columnist Louella Parsons, the 1942 Lux Radio Theatre production of 'A Star Is Born' that starred Garland a dozen years before her appearance in the film version, and a host of recording sessions that run the gamut from rehearsal run-throughs to alternate studio takes make up the comprehensive audio selections provided here. This is great stuff that's well worth exploring. Theatrical Trailers (SD, 11 minutes) – Previews for all three versions of 'A Star Is Born' from 1937, 1954, and 1976 are included. The finest version of one of the all-time great Hollywood tales, the 1954 'A Star Is Born' features one of the all-time great performances by one of the all-time great talents, Judy Garland. George Cukor's film combines a compelling dramatic story with an excellent score to create an emotionally powerful, thoroughly entertaining experience. Warner's Blu-ray presentation is top-notch, featuring a stunning 1080p transfer, dynamic lossless audio, hours of absorbing extras, and beautiful digibook packaging. Highly recommended on all counts.